Most people are familiar with the process for a residential real estate purchase. It starts with the buyer making an offer and the seller negotiating with a counter-offer, if needed. When the parties have agreed on terms, they enter into a legally binding agreement that details the obligation to complete a purchase contract or follow the escrow instructions. The process for commercial real estate is typically more complicated and has some important steps to understand about using a commercial real estate letter of intent before you pursue purchasing commercial real estate. What is a Commercial Real Estate Letter of Intent? A commercial real estate letter of intent is the first document typically exchanged between a buyer and seller for the purchase of commercial real estate property. When properly drafted, the letter of intent will detail the buyer’s intentions for the property and the terms offered. This letter might be legally binding if it is not handled with care. An experienced real estate attorney is essential to this process because they will be able to draft a commercial real estate letter of intent that expresses your desire to the purchase the property and opens the negotiations without forcing you to purchase the property if the due diligence does not support your intentions for the property. The most important thing to understand about a commercial real estate letter of intent is that it does not need to be signed by the buyer or seller. Upon receiving a letter of intent, some sellers might respond by requesting that the buyer sign the letter of intent. This simple step can make the letter of intent legally binding and it is generally not in the best interest of the potential buyer. An experienced commercial real estate property owner should understand and respect that it is not necessary for the buyer to sign the letter of intent to start the process. A potential buyer can simply have their broker sign the letter of intent, which should suffice in nearly all cases. The concept of equitable estoppel is important to understand when it comes to keeping a letter of intent non-binding. If you are buying or selling commercial real estate and one party starts to act as if the letter of intent is legally binding, it is vital that you express clearly to all parties this is not the case. This will help protect you against a claim of equitable estoppel—a potential claim barring the claim that the letter was non-binding because of a reliance on a misrepresentation of a present or past fact. For example, one of the parties may say they suffered some detriment because the actions they took were based on the reasonable reliance that the letter of intent was legally binding. This is a simple problem to avoid if you have an experienced real estate attorney reviewing all documents, including the letter of intent, during a commercial real estate transaction. Since most people are used to a residential real estate offer having an expiration date, they will often include an expiration or withdrawal date on a commercial real estate letter of intent. This mistake can give the other party the idea that it will be legally-binding if they accept the letter of intent by that date. It should be clearly detailed that the commercial real estate letter of intent is not legally binding, and it does not require an expiration date. This makes it clear that one party intends to start the negotiation and intends to pursue the due diligence necessary to make a binding offer. This concept is equally as important to commercial real estate sellers. If they sign a commercial real estate letter of intent that has provisions for keeping the property off the market during the dates in the agreement, it can be held legally enforceable that they were not able to consider other offers. This can even be true in letters of intent that contain clear language about it being non-binding. The process of purchasing commercial real estate has many pitfalls and needs to be handled with more care and expertise than residential real estate. You should find a real estate attorney that can represent your legal interests throughout the entire process. The investment in legal representation can help avoid costly mistakes. Even experienced commercial real estate brokers should understand there are limits to the counsel they can provide during a complicated transaction. 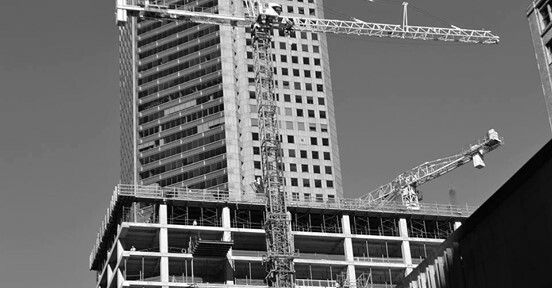 At MacQueen & Gottlieb, we have represented clients with complicated commercial real estate transactions in Arizona. Our attorneys can draft a commercial real estate letter of intent that will allow you to start the negotiation and due diligence period on a property without legally binding implications for the purchase or sale of that property. Contact us today at 602-533-2840 to schedule an initial consultation.